Half Dome is no doubt the most heavily photographed icon in Yosemite Valley. It can be seen from so many vantage points through out the national park. This particular view is photographed very often and has a popular pull out parking called Olmstead Point. You’ll find many photographers and families shooting portraits up there. 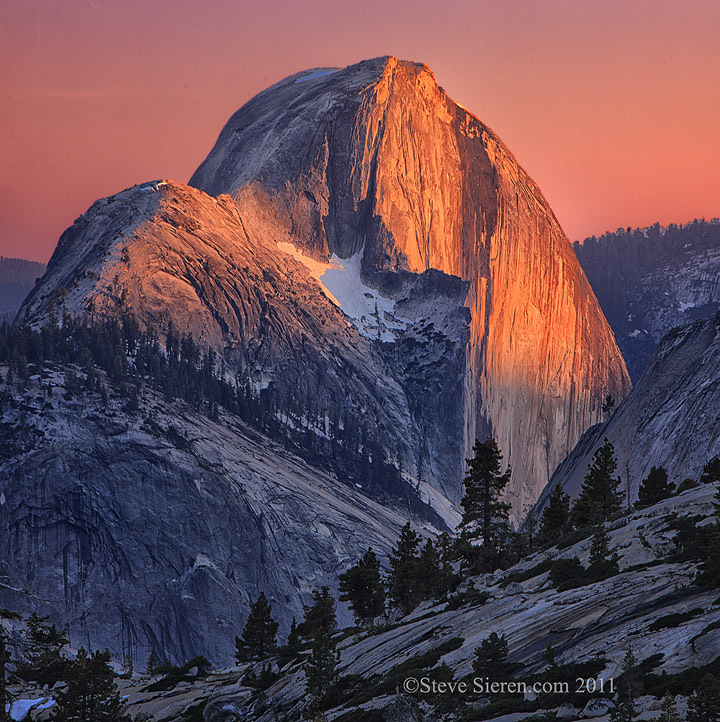 For us landscape photographers wanting the good light we can get a great view of Half Dome’s North Face from here. In this photograph it’s late light in the afternoon hitting the face of the icon with enough mixture of light and shadows to give it a three dimensional effect. Olmstead Point is located off highway 120 also known as the Tioga Pass road, it’s high elevation makes it’s easy access only available in the very late, early fall and summer months. 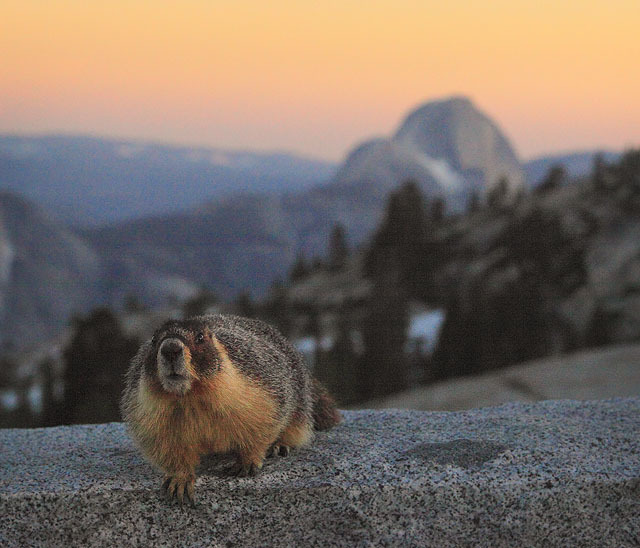 In the winter you’ll need to snowshoe or cross country ski to access it, there is at least on company out there that will help you if you’re coming up from the bottom of the Tioga Pass on the East Side of the Sierra during winter. Private or small group workshop info: Learn. This entry was posted on November 20, 2011 at 12:39 pm and is filed under Uncategorized. You can follow any responses to this entry through the RSS 2.0 feed. You can leave a response, or trackback from your own site. Have not driven the tioga pass road yet, this is a lovely place. Great light. Wow! Love the light and composition!!! What a beautiful view of this great mountain. Great capture! Glenn, Tioga Pass is a great scenic road that connects Yosemite to Mono Lake and the Eastern side of the Sierra. Lot’s of great places to entice a photographer just taking a leisurely drive. Hi Susan, thanks for the kind words! Truels, thank you. I really wanted Half Dome to dominate the frame in the shot! Beautiful shots as always! Do you know the name of the company that gets you into the high country in winter? No luck trying to find ’em on google. John, thanks for commenting. Try this link. I’ve yet to experience this but I recall you may get a package with a gourmet chef for breakfast and dinner, and a sack lunch. It’s gear towards skiers so you’ll need see if they can keep some food for your later arrivals after photographing the area. Beautiful light Steve. I really love this angle as well – so unique. I echo what Russ said about the light. Besides, it is amazing you caught it so clearly. Often there can be haze making Half Dome a bit fuzzy from Olmstead Point.